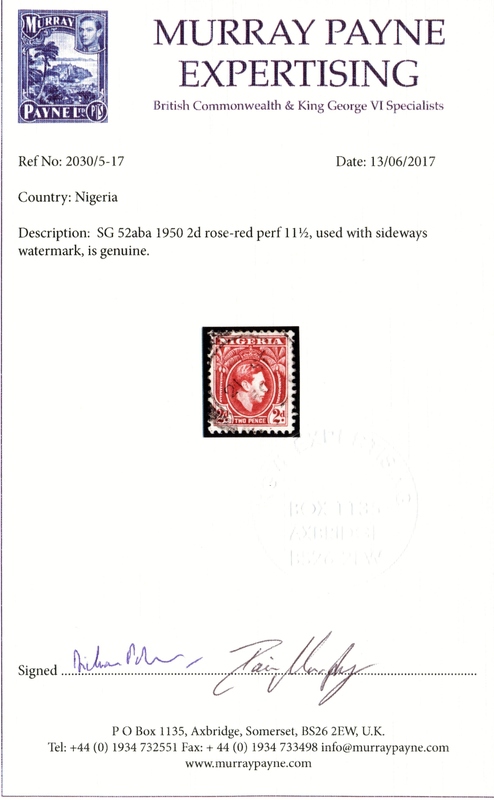 As you may remember in sale 347 Chris, one of our valuers found a Nigeria 1950 KGVI 2d red stamp that was previously unrecorded with a sideways watermark. 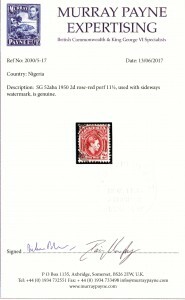 We have now had the certificate back from Murray Payne Expertising stating this is genuine. Our valuers are always looking to give you the best quality of lots.